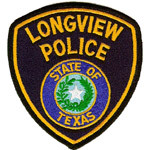 LONGVIEW – The Longview city council has approved the purchase of property for the police department headquarters. The building will sit on seven acres near their current building, which they share with the municipal court. The new building will nearly double the size of the current 31,000 square foot facility. The price tag for the new building on Luckett Street is $33.4 million. It should be ready to move into within three years.